Tea Happiness- A blog on tea drinking, tea history, tea industry interviews, NYC tea experiences! : Giveaway! Win A Fabulous Tea Ave Prize Package! Giveaway! Win A Fabulous Tea Ave Prize Package! 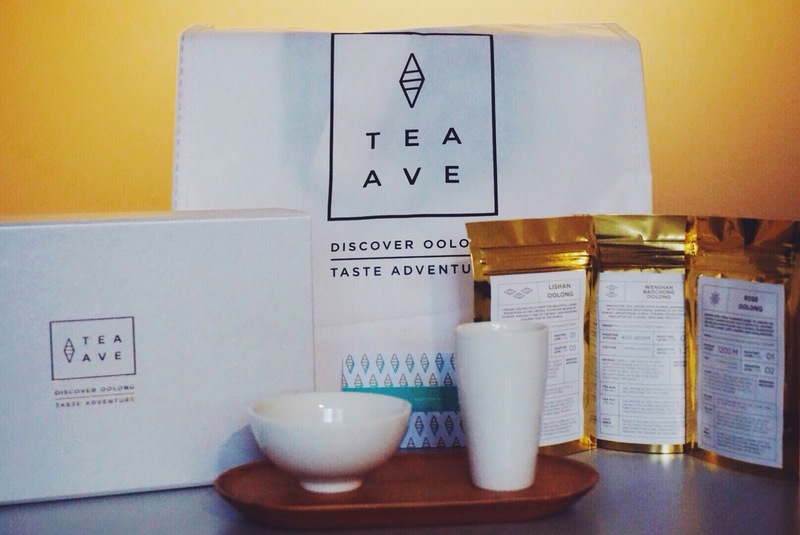 As promised, the Tea Ave giveaway starts today! I'm happy to present the following package for giveaway (pictured above). It contains an aroma cup set with tray packaged in a Tea Ave box, a $15 gift card to Tea Ave, three oolong samples (Lishan Oolong, Wenshan Baochong Oolong, and Rose Oolong), all in a large tote bag. Check out the rafflecopter entry form below. Leave a comment below on what Tea Ave product you'd like to try most, and enter! You have until midnight on Sunday (3/22) to enter. A winner will be chosen at random and and announced on Monday. THE CUPS. I AM IN LOVE. Also drooling over all of the unflavoured oolongs... the Wenshan Baochong looks incredible!! The Tie Kwan Yin sounds absolutely amazing and is definitely next on my to-try list! Any oolong sounds fabulous to me. Love everything I'm a newbie in tea .this would be the bestever to learn and taste ..nummies!! The rose scented oolong really piques my interest! Thank you for the chance to win! I would love to try the rose oolong! Hmmmmm. I suppose I'd like Lishan Oolong the most. Would love the Lishan Oolong tea! I think I'd love the magnolia oolong! I would love to try any of the oolong teas, but if I had to pick one off of the main menu to try, I would like to pretend I am a princess and treat myself to the silver tip tea. I have always wanted to try it, but have never seen it offered anywhere. The Lishan Oolong tea sounds delicious. I would try the Magnolia Oolong tea :) and the cups are beautiful. I'm not sure if this is open to Canadians, but just in case: I'd love to try the Tie Kwan Yin Oolong. I'd love to try the Ginger Lily Oolong!